Chinese developer Huawei has been a growing presence in the mobile device market ever since they partnered with Google to release the Nexus 6. With the Nexus line being so affordable and it being such a quality device, it really puts this developer on the map with may of the US buyers. 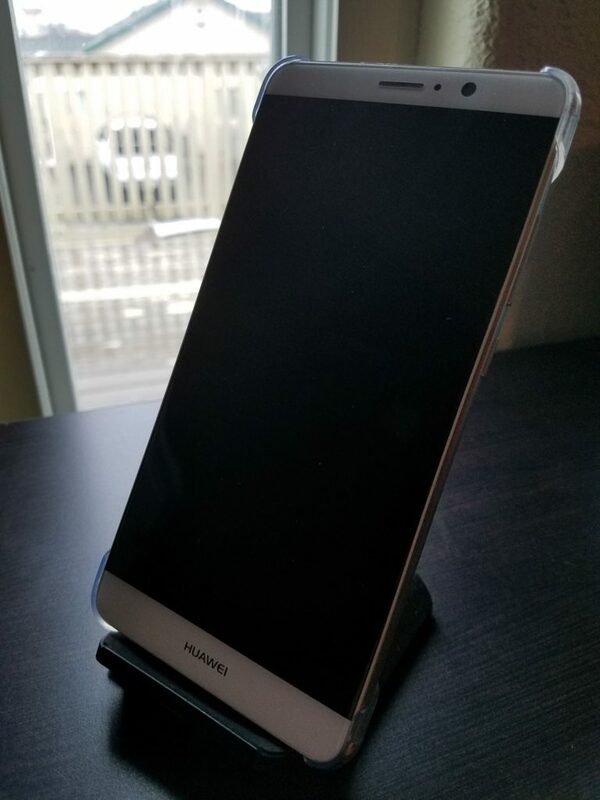 Huawei sent us one of their Mate 9 phablets to review and, let me tell you, they are living up to their reputation of good devices at good prices. The overall design of the Mate 9 is very classy. With thin bezels all around and the absence of any hardware keys, Huawei is able to squeeze as much screen as possible into this massive device. 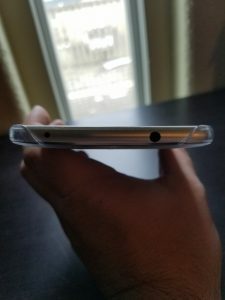 Being a religious Samsung user over the past 4 years, it was actually a nice relief to not have the hardware keys (something I was not expecting). Starting from the bottom up, we see some symmetrical speaker slots on the bottom of the device (very much iPhone like), unfortunately, on the right side plays sound. I’m guessing the microphone is housed in the other side, and obviously a style choice. 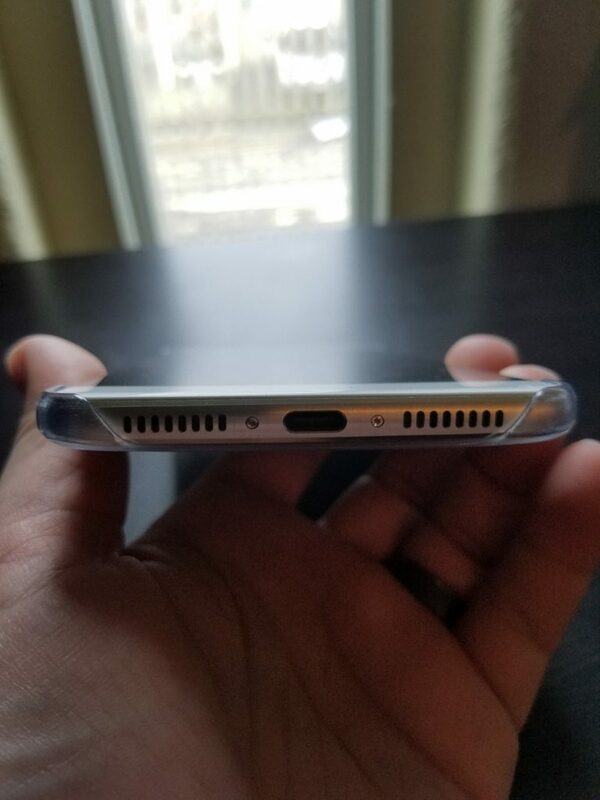 In the direct center of the bottom is the USB Type-C connection. I was very pleased how quickly the Type-C charged the massive 4000 mAH battery, but more on that later. Moving up the sides of the device, we find the lock button followed by the volume rocker on the right-hand side of the device. They are placed nicely based on where I tended to place the phone in my hand. The left side is clear of any functional pieces as it only houses the SIM card slot. You can either use the Dual SIM feature or one SIM and the expandable storage. The back of the device is very clean and sports the obvious fingerprint sensor, flash, and massive dual camera setup. 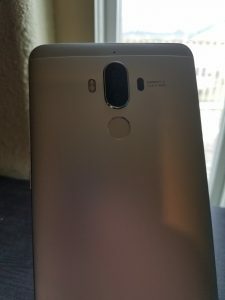 Thankfully, the Huawei was bale to tuck most of the camera into the body resulting in very minimal protrusion, which can easily be covered by any case. The very top of the body sports the 3.5mm audio jack (this should never go away) and an IR blaster. Not much to write home about but things that should be included in any device that is considered medium to top tier. The front of the phone obviously houses the screen, ear speaker, and front facing camera. There is also the light sensor for the automatic screen brightness. Overall I have no major gripes about the body and style of the new Mate. 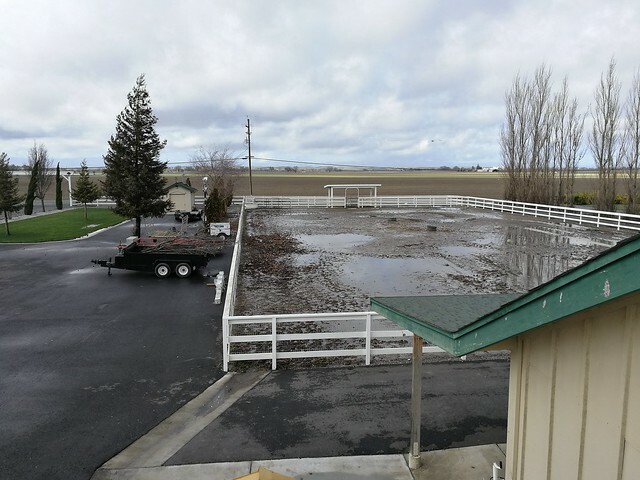 It is a little on the hefty side but is balanced well overall. The Mate 9 Has an absolutely humungous screen. With a footprint similar in size to the iPhone 7plus it is still able to sport a 5.9″ screen. 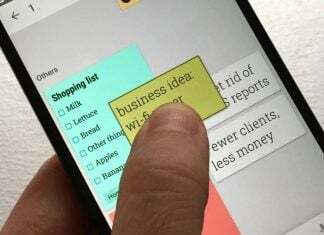 Much attributed to the small bezels and use of on-screen buttons. This massive screen is covered by an equally massive piece of 2.5D Gorilla Glass. The slight bevel is nothing compared to the what Samsung has done with their Edge displays but it adds a little class to the monster phone. As far as screen functionality is concerned I never had any issues with brightness. 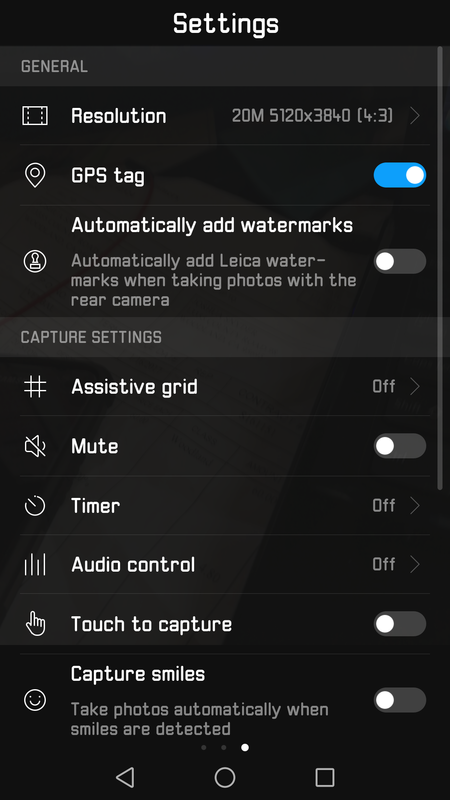 In fact, the automatic brightness setting was actually useful, as opposed to some other phones (*cough* my Galaxy S7) where you have to turn it off and manually adjust the brightness to see anything. Colors were all beautiful and bright. The only complaint I could have is that the screen is only FHD. Personally, I can’t even tell the difference unless I am looking at some ridiculously hi-res images, and if I wanted to do that I would probably move to PC. 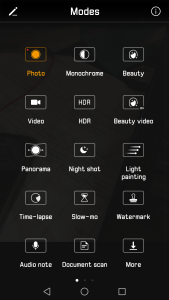 Huawei, much like Samsung, has decided to make its own software package for their devices. They have labeled it EMUI (Emotion UI). 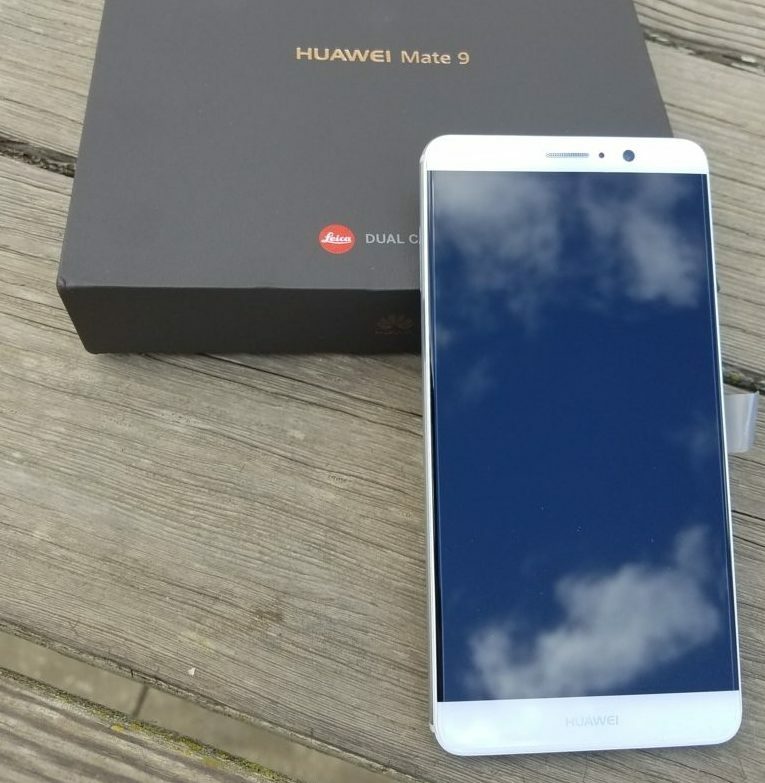 They have sent the Mate 9 with the most recent version of their software, version 5.0. This being the first time I have used it and I have to say that I was pleasantly surprised. In my day job, I work for a large enterprise and have always had my email and calendar on my phone. These two apps delivered by Huawei are excellent and worked better that I am used to with my S7. the sensor placed in a very convenient position for the users’ hand but the reading of the fingerprint is lightening fast. from screen locked and off to unlocked and usable is easily less than 1 second if not half a second. It functions equally as fast with any apps that are integrated with the fingerprint scanner. The other thing of note is that the Huawei software seems to really increase the battery life. Now I do realize that we are talking about a 4,000 mAH battery here but I can get a solid 2 days of battery life at normal use, and mind you, my normal use is constantly getting enterprise emails, using chat applications, reading news, etc on my phone. I’m sure that an average user might be able to squeeze out 2.5 days or even more. I have read some other reviews where it was mentioned that EMUI runs close to the path of iOS, I do not agree with this. I can not stand apple’s software. I don’t like the way it looks, and I don’t like how the settings work. This is clearly android, with some major refinements and customizations to increase the users’ experience. 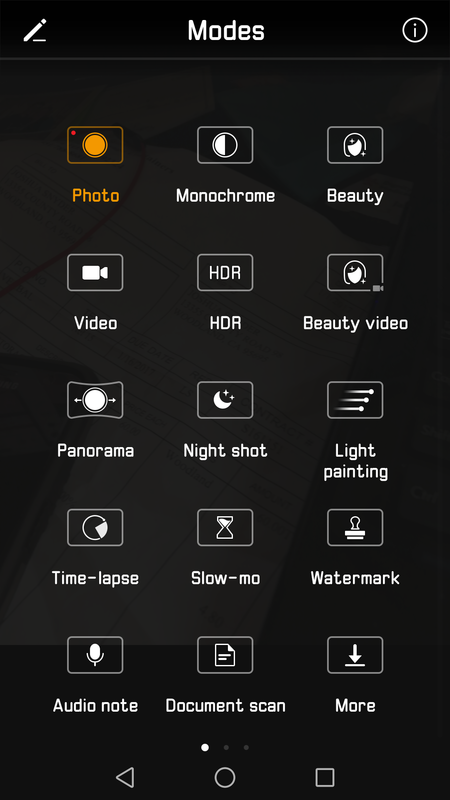 Developers, if you are going to make custom software for your phones, take note of what Huawei has done. This is one of the Mate 9’s stand out features. Huawei has teamed with Leica to create a phone with an outstanding camera. I must admit, I am not much of a camera or pictures guy. I am a doer and not a photographer (my wife hates this). However, I can tell you that this phone takes some pictures that simply amaze me. 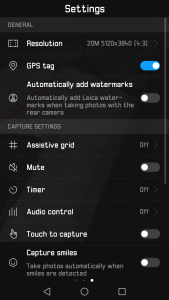 They have built in some settings that are simply amazing. You can capture up to 20MP images and even take 4K video. If you couldn’t tell by my enthusiasm in some of the pervious sections, I absolutely love this phone. My only drawback to using it is, as you may be able to tell in some of the pictures, I have smaller than average hands which makes it difficult to use such a large device. If this phone was maybe a 5.7″ screen, I would run out and buy one right now. 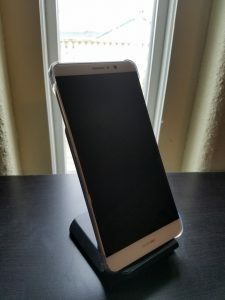 Mind you, this phone is not the cheapest device, coming in at $599, however, given what you get for that price I think it is sitting at the right spot. As my title suggests This phone should be the golden standard for any developer to aim for when developing an oversized device. If you are interested in picking up a Mate 9 you can head over to Amazon or B&H to pick one up.